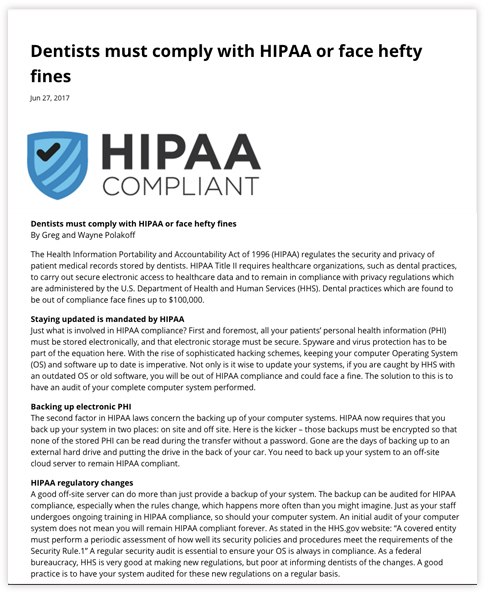 We provided original copy writing and editorial services for NFC-IT, a specialist in HIPAA compliance for dental offices. We gathered information for the article and wrote it under the name of the owners of the company. Read the full article.